A Tahoe local with miles of experience on the snowy and icy roads. As a South Lake Tahoe local, driving on the snow and ice is just a part of life. Most people who live here do this pretty well as driving in the mountains safely is a learned skill and we get plenty of experience with winter driving. The overwhelming majority of locals have four-wheel-drive or all-wheel-drive vehicles, while visitors are more likely to need tire chains. If you are not familiar with driving in the snow, here are a few winter driving tips to keep you safe and driving in the mountains safely. Check the weather in South Lake Tahoe or your mountain destination near the time of your trip and get well ahead of the storm, or wait for it to pass and the roads to be cleared. If you are trying to beat the storm, you need to be many hours ahead. Mountain weather is unpredictable and things may be much worse as you try to go over the summit of the pass. This seems obvious, but it's surprising how many people don't heed this advice. It's not always easy to tell where the slick spots are when driving in the mountains. If you wait until you are on top of one and try to brake then, it will be too late. Do not panic going over slick spots. Try to maintain your course and do not brake hard. Use the lower gears in your car to slow down, especially on the downgrades of the passes when driving in the mountains in the winter. If you shift down to 4th or even 3rd gear, your engine will slow you down, decreasing use of your brakes and decreasing the risk of sliding or skidding. As I am reminded by a fellow writer, downshift carefully on snow or ice and do not do so at high speeds. 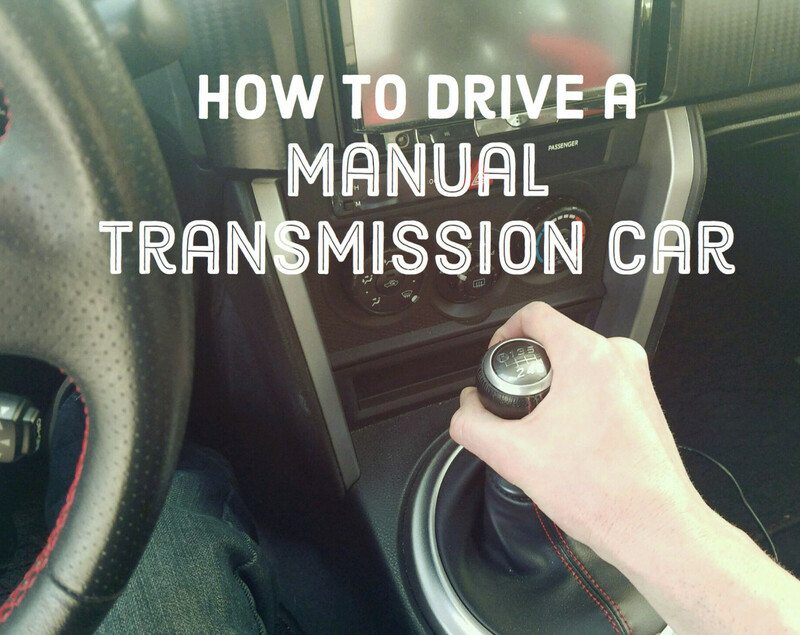 Shift down only one gear at a time to keep your wheels from locking. And be prepared, your car will handle differently, especially in turns. Be cautious and prepared for these differences. Slow down over a long distance. The harder you hit your brakes, the more chance you have of sliding. 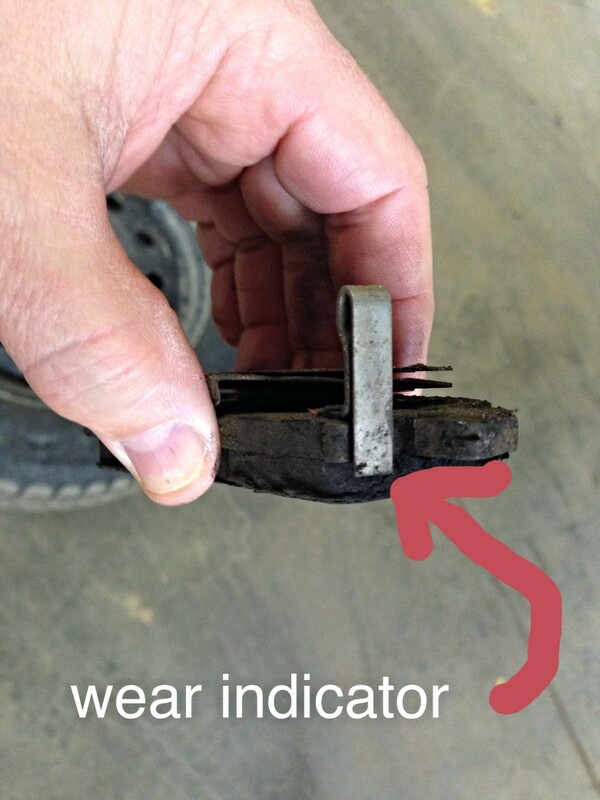 If you have anti-lock brakes do NOT pump the brakes. Apply gentle steady pressure. Let up a bit if you start to slide, then gently reapply. If you DON'T have anti-lock brakes, gently pump the brakes. Let off if you feel yourself start to slide instead of braking harder. Steer out of the slide and pump again. Sudden acceleration causes the tires to spin. In the right conditions, this can get you stuck. It also causes the back of your car to slide sideways, putting you at risk of collision with another car if starting at a red light. 6. Don't Make Hard and Fast Turns. When you drive through a curve, slow down BEFORE the curve. Braking while turning is a great way to slide off the road into the snowbank, guardrail, or another car. I see this happen several times every single winter here. Usually, it's someone turning right at a green light who didn't slow down enough before the turn. They start the right turn, brake and slide to the left into the car or cars sitting at their opposing red light. Every single winter, this happens countless times. When driving in the mountains, you need to be prepared in case you get stuck somewhere. Driving in the snow in town is one thing. A cell phone may be all you need to get out of trouble. Driving over a dark, desolate mountain pass in a snowstorm requires a whole different set of winter emergency equipment and potentially, survival skills. Driving over mountain passes is a daily requirement for some of us. We don't take chances with the weather. Some of these roads don't have guardrails, don't have cell phone reception and don't have other cars pass by for quite a while. Here's what you need in your car if you are driving over the mountain passes. It may be different in other mountain areas such as the Rocky Mountains, but here in the Sierra Nevada range around Lake Tahoe, we often have "chain control" checks. These are stop points along the road monitored by the state highway patrol. Usually you aren't required to use both 4-wheel drive (or all-wheel drive) AND snow chains, but often you will be stopped and asked if you have one or the other. During a storm, you will not be allowed to pass unless you have 4-wheel or AWD or chains ON your tires. Very, very rarely you are required to have both. My car has 4-wheel drive and I've been stuck on a side street. I have never put chains on my tires, but I carry them and once used them to put under the tires for traction to get "unstuck" when the snow was too high and the ice too slippery to move without them. So even if you have 4-wheel drive, snow chains may still be useful. Check a size guide and try them on your tires in your driveway before venturing into the mountains. Plan your trip ahead and buy tire chains for your trip to South Lake Tahoe here, online. If you buy chains on the way to Tahoe, you may not find your size and you will pay two to three times as much for the same set. There are many designs and brands of these chains. You don't need super-expensive ones, but I wouldn't recommend the bargain basement either. Too many people have had the cheap ones break on first use and end up having to pay a premium to replace them to get out of town. 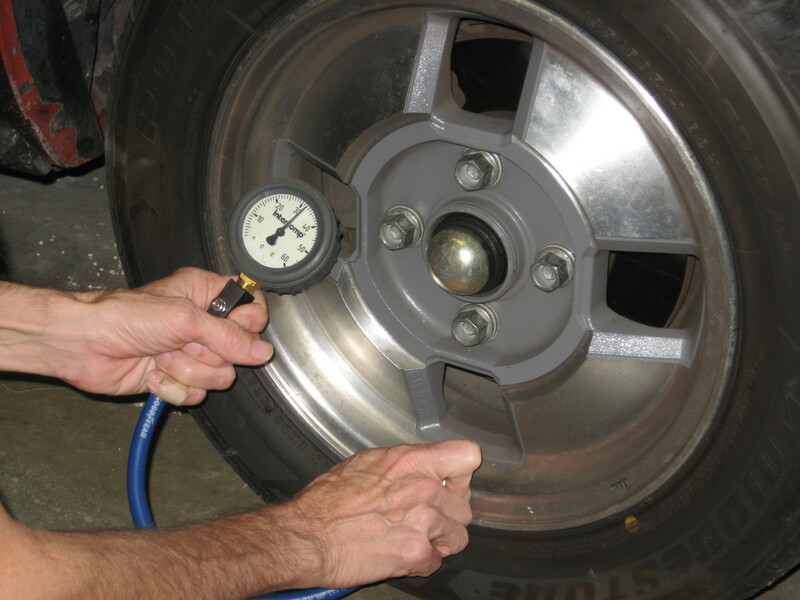 Tire Chains for Passenger Cars - Other sizes and styles for your car available thru this link! You are probably not going to be caught in an avalanche. But these small shovels, some with adjustable handles are necessary and useful if you get stuck in a snowdrift or if your car gets plowed in when the snowplows clear the streets. I have also used mine to clear snow off of my car when the job is too big for a snow scraper or brush. Buy a good, solid shovel that will not break when lifting heavy snow. I prefer the avalanche shovel to a regular snow shovel. First, they seem to be of higher quality and able to handle even heavy, wet snow. They either have short or adjustable handles and so are nice since they can accommodate different users and pack away easily in the car. The short handles are also useful because when you are digging out your tires, you are down nearer the ground and a long handle is cumbersome. Avalanche Shovel- This one is sturdy, lightweight and adjustable. It doesn't happen very often, but once in a while, the road will close ahead or a car will skid off the road and the driver and passengers cannot get it back onto the road. This can be a serious situation in the mountains where cell phone service is unavailable, especially at night when another car is less likely to come along. Here's what you should have in your car to help you get "unstuck" or to survive a night until you can get help. emergency blanket - subzero sleeping bag or "space blanket"
And don't forget the basics. Don't forget that you might need your winter gear before you reach your destination. Don't pack your coat, gloves and boots deep in your suitcases. If you need to put chains on or get your car unstuck, you will want these things to be accessible. The same goes for water and snacks. I also keep snowshoes in my car because sometimes I MUST drive through the mountains during a big storm. If I have to trek through deep snow to get help, I plan to use the snowshoes. This may be unnecessary for many people as you may not have to drive during the storm. I like to have the snowshoes in my car anyway, just in case. Do slow down entering Tahoe on Highway 50. If you are driving in from the West (Sacramento, San Francisco, etc), you will be on Highway 50 entering Lake Tahoe. As you come into town, on the 'down' side of Echo Summit, the speed limit is 50 or 55. There are warning signs that the speed limit will drop to 40. Slow down. This is not just a safety message. At the bottom of the hill, after the speed limit has changed, there is a CHP station on the left. Not surprisingly, highway patrol often are sitting down there with the radar. Don't start your vacation with a speeding ticket. Plus we live here, with our children. You will get where you are going without speeding through our town. What you can't see is that right off these side roads are residential neighborhoods and an elementary school. This is really informative, thanks for the help! We have a group of people going to Tahoe in a few weeks and we have the vehicles but I'd like to hire drivers who are EXPERIENCED at driving in the snow. Any recommendations? Driving to South Lake Tahoe, Harrahs Resort tomorrow evening from Los Angeles planning to arrive after midnight. Just found this hubpage. A little worried that a night drive will be dangerous while driving through the high elevation areas before getting to south lake tahoe. Latest weather forecast says it will snow at night tomorrow 90%, 5-8 inches (right before strawberry, CA). Any advice/tips on how it gets around that area (Kyburz through Echo Lake through South Lake Tahoe)? First of all thanks for the post. This is very helpful. I'm planning to visit Tahoe for the first time during snow and need some advice. I have a bmw 328i which is not a 4 wheel drive. Do you recommend I rent a car with all wheel drive or make do with chains on my car (i'm asking since the bmw doesn't have a lot of road clearance). Also, I'm driving from the bay area and planning to head there just so my family can experience snow. Do you have any recommendations on ski resorts I should check? Thanks a lot in advance for your advice. I did rethink our situation and I booked a hotel in South Lake Tahoe. We were there once during summer time and enjoyed the beauty of the place and got a flavor of the mountain driving but that was completely different situation. We are active with my wife. I'm riding my road bike and we started to run with my wife up to 5-6 km 5-6 days a week but completely new to winter sports and would like to discover. Also the kids will enjoy for sure the new experience. What would you recommend to start with? Nothing extreme that the whole family can enjoy the stay at SLT. Hi there Chris. The drive between Minden and South Lake will take between 30 and 45 minutes, up to 60 if the roads are bad. There are a couple ways into Tahoe from there. I recommend you stay on 'main roads'/highways. No matter what, you are traveling from a valley to the mountains on what can be busy roads. There is no way to predict this far ahead what it will be like. Your experience will TOTALLY depend on the weather. If there is a storm, the road can be quite dangerous, even with AWD and chains. It even closes from time to time. After a storm, there are days where the snow and ice stays on the roads and wet roads re-freeze in the afternoon/evening. If the weather is good and the roads are dry, you will have no problem. If you aren't used to mountain driving, then it can still be a little scary with the curves and elevation change. I would first re-evaluate the plan to drive back and forth each day if your goal is to vacation in Tahoe. The extra danger and stress may not be worth it, really. What is your goal for vacation? Are you here to ski and mainly be at the casino/resort area? or are you going to explore more of the area? I don't know the difference between those cars. Either should be ok if they have AWD or 4WD, I think. This will be our first time in the winter time at South Lake Tahoe. No winter time driving experience at all. We are planning to come from Sacramento between 1/1/14 and 1/4/14. I'm trying to save money on the hotels and planning to stay in Minden NV. We would commute every day from there to South Lake Tahoe. How safe is the road from Minden to SLT? We are 3 adults and 2 small children. I will leave our minivan at home and rent out a Honda CR-V AWD or a Ford Escape 4WD. I'm in the process to buy a Snow chain in case we need to show it at any checkpoint or we need to use them regardless of the AWD. Main concern is the safety and which car would you recommend between the two. 12/7/13= Haven't measured yet, but over one foot and probably close to 2 feet of snow last night. Roads will be plowed, but the ice from the last storm may still be on the surface, so be cautious around town today. Chain controls are ..and will continue to be in effect today. Going from Sacramento to Reno. No snow around S. Lake. Some ice in shady/dark areas after the sun goes down, but really quite clear. Where, specifically? Anyone know what the roads like tonight?? Dear Doc- Thank you so much for responding. Greatly appreciate it! Hi Kassandra. The roads are in pretty good shape right now. The secondary/neighborhood roads are still a bit snow-covered and slippery, but the highways/main roads are ok.
Keep an eye on the weather. If there are no more storms, it should be fine. But, yes, it is the mountains and driving is always potentially dangerous. Come and go during daylight hours when ice is less likely to be frozen on the road. The sun helps a lot to melt the ice, so if it is nice and sunny, that helps too. Check CHP sites to see if or when chain controls are in place (they shouldn't be unless it snows again which is NOT forecast right now). Your car will likely be ok, but you will need chains in your vehicle if it snows. Take it slow, leave a lot of room between cars, make no sudden lane changes or stops and don't panic. Again, if it doesn't snow a lot or storm, these days might be the best conditions you will have all winter to get to the snow. The roads will have been well-traveled from all the holiday visitors, the roads should be cleared well and you will be going the opposite direction of much of the traffic. Doc - fyi, am planning to drive up Jan 2- spend night - and then head back Jan 3. Dear Doc- I am planning to drive from East Bay (Dublin) via 80 to Soda Springs (snow park) to take my 4-yr old to snow for first time. My excitement for her/us, is tempered (to put it mildly) by my growing panic by the minute in thinking about the drive there. I have never driven in snow, have a Chevy Equinox SUV that is 2wd, and really worried about black ice. Of course snowy, slippery slush - but it seems like black ice is the scariest and one that nothing can be done (no tires, driving skill, or other it seems) to avoid this. My precious cargo is greatly adding to my panic, but of course - she is gleeful about 'going to the snow.' Should I drive there at certain hours to minimize black ice or ? Should I try to find a rental AWD (not 4wd as i certainly do not want to be in control of when to 'turn on.' Signed, fearful in Dublin. By tomorrow (Thurs 12/27), the roads should be cleared a bit and if it isn't snowing too hard, travel should be easier. Hi Dan. Good choice on the 4WD vehicle. There is still some ice under all that snow. When the plows remove the snow, it can be slippery. If you got stuck (unlikely now that plows have caught up with the snow), 4WD will help. You might also need it if you are parked in a slippery or snowy drive. Definitely better to have it. AND, it means you likely won't have to deal with chains. Usually they say "Chains or 4WD with snow tires." I've seen them check for chains with 4WD once only. Theoretically, it is possible, but in real life, I just haven't seen it. If it's bad enough to require chains with 4wd, then they usually just close the road before making that requirement. I don't think you will need chains with the 4WD, but can't promise so that's why it's mentioned as possible. That would be so highly unusual though. The roads were in MUCH better shape last night and today than they were a couple days ago. We are expecting another storm with up to a foot of snow (more over the summit), so check before you leave and be smart about timing your drive. Check the weather links I gave above and the radar to see where the heaviest snow is tracking. Good luck and come on up. The snow is amazing! Hey Doc - I'm driving up with my family for the first to South Lake Tahoe Wednesday. I was planning to drive the 2WD minivan but after reading this decided to rent a 4WD SUV. Do I also need to buy chains? It seems like you generally say 4WD OR Chains but it sounds like sometimes they have mandatory checks for chains? I'd really prefer to not buy chains. Thanks! Good choice. I hope you make it in safely. It's only been snowing harder since your first post! Thanks so much for your reply, and have postponed driving for today. Will check in later this evening and see how things are going. I do appreciate your information. I haven't been out yet today, but yesterday was awful! I got stuck on ice IN FOUR WHEEL DRIVE and I know my way around some winter driving! This was out in the neighborhood off of N. Upper Truckee Road, near the 'bug station' up in the hills. I did not, however, have any trouble driving down in town. Some people driving cars were having trouble with the clearance-the snow was just too high- not a problem for the bigger vehicles, though. The snow didn't cause problems for the SUVs, but the ice underneath sure did. There were 4 lanes of stopped traffic for a very long time on the 50 right where it comes into town, and lots of fender-benders to go with it. Right now, it is still snowing. but the plows have been out a bit more today than yesterday. It was just dumping so hard and fast that they couldn't keep up. Tomorrow is supposed to clear up a bit and have a break in the snow. If it was me, I'd wait and leave early-ish tomorrow morning. We cleared snow about 4 times yesterday and are on round one for today- it's still falling at a pretty good rate. This guy does the best forecasts and updates them pretty regularly during storms. My family is planning to drive up from the bay area, and I see not such great driving conditions. We are not experienced in driving in snow. We've borrowed an SUV 4 wd however do not have chains. I'm not sure if we should attempt this today, or if tomorrow would be any better/worse? Your thoughts, much appreciated. That used to be a local's secret, but not so much anymore. It is 2 lane the whole way, but still may have a bit less traffic than the main road. Unless there is a ton of snow (in which case the main road is better plowed and becomes 4 lane near the Y), Pioneer trail would be fine and is a bit shorter to your destination. Enjoy our beautiful little town :) Let me know if you have other questions. Hmmm, either could have snow, but the 50 from Reno is less likely to close. Coming from sac, there is a long portion of the road that is tedious 2 lane. The summit can close, usually briefly, for avalanche control. Also, there will be more traffic coming from sac on a holiday weekend. It crawls! One accident on the 2 lane can make that drive 4 hours. The road from Reno is a bit safer with less 2 lane and brings you into town on the end with the casinos and hotels rather than having to drive another 20 minutes thru town, still behind all the traffic. When given the choice, we choose Reno, paying off the extra cost with convenience and less aggravation while driving. Do you know where you are staying? Do you have other questions? Let me know. 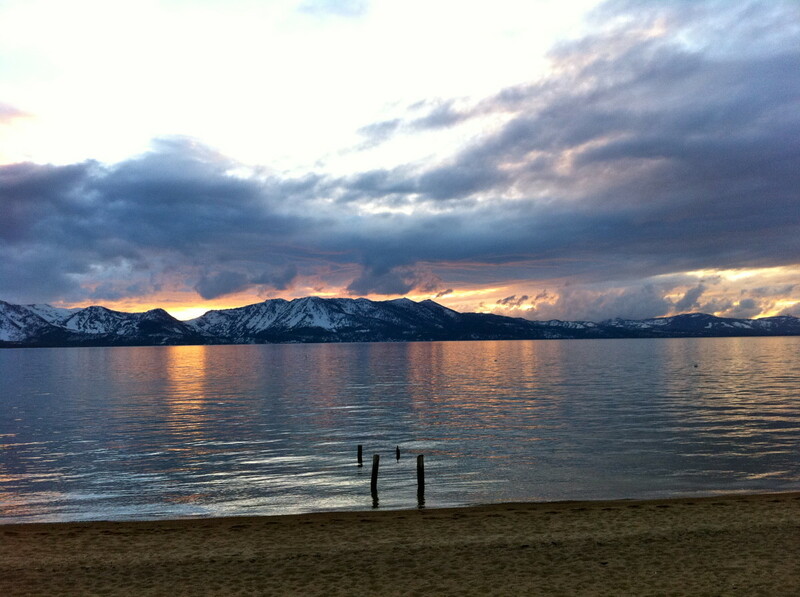 Tahoe is a fun place- hope you get to enjoy some of our great town while you are here. You can also email me tahoedoc1@yahoo.com if you have questions. Dear Doc: My kids have a hockey tournament over Martin Luther King weekend in Tahoe - I'm trying to decide if I fly into Reno or Sacramento - I know the drive is a bit longer from Sacramento but the plane tickets are much cheaper to fly into that airport. My question is about the roads in winter weather - I will try to rent a 4 w drive - but which road closes more often --the Sac. route or the Reno route? My kids need to make it to Tahoe for the tournament, so if I have to spend a little more to go to Reno - I will. Hi RK. You should definitely have chains in your car. You may not need them, but if you do, they will be MUCH more expensive AND hard to find up here or on the way. Follow the Amazon links in the article and find the ones for your car. There is snow forecast for this weekend- Friday thru Sunday. Beyond that,it is uncertain. But, this current storm wasn't forecast until a few days ago, so things change pretty fast. My favorite forecast is tahoeweatherdiscussion.com. You will be coming up the 50 over Echo Summit. Check the CHP sites if it is snowing and they will list road closures. That one sometimes (rarely) closes for avalanche control during or after a storm. Enjoy your time in Tahoe- I will be trading places with you as my family and I are headed to SF to meet friends for Thanksgiving. Your kids will need to be secured, obviously, in their usual car seats. Be prepared that if there is a lot of traffic or snow, it can take over 5 hours to make the trip (as opposed to 3.5 to 4). I find Folsom or Placerville to be a good place for a last stop. There aren't many opportunities between Placerville and here for bathrooms or snacks. Folsom is about an hour and 15 minutes from here and Placerville is just about an hour. Dear Doc: I am planning to drive to Lake Tahoe from Bay Area during the Thanksgiving weekend. I will be driving in my Honda Accord, which is neither AWD or an SUV. I have two young children. Please let me know if I will need chains during this time and will be difficult with kids? Thanks. First storm of the season. Up here near Meyers, we have well over a foot of snow still on the ground and it's snowing right now. Worse, it was a layer of ice, then slush, then snow on top due to temps during the storm. For anyone coming into town, the weekend should be clear before another storm comes MAYBE Tuesday night or Wednesday. There were chain controls the last few days and people were caught off guard and some couldn't go on until controls were lifted. The next round may not be as bad, but don't drive into Tahoe unless you are prepared for winter (emergency gear and warm clothing, etc). Also, if you want to see what it's like at the chain control in Meyers (where I live and where you can take chains off coming into Tahoe, and put them on when leaving Tahoe, use this link for the Caltrans camera. They have others around the area, too if you want to see what it looks like in town (ski run at 50, for example). First, about the chains. Make sure they are ones that will fit your size tires-Camry is likely pretty standard passenger car, so you should be ok. I know on this end, there are guys on the side of the road who charge about $30 to put on or take off chains. I don't know for absolutely sure, but I think there are people who will do it on that side as well. Most people don't know how to do it themselves. If not, and if you wait a while, the chain requirement will likely be lifted. That does not mean that the roads won't be a bit slick over the pass and once you are here, but chains are not required in town, and most people have them taken off (another $25-30) once they come down the hill into town. If you just need to get into town and are staying near the casinos, park your car and then walk wherever, you should be ok. If you are staying out away from town, that could be more of an issue. Having said that, there were a LOT of people driving around yesterday without 4wd or chains and they were fine and we will not have as much snow today. Traffic was slow (a good thing) and the roads were cleared frequently and quickly. Yesterday we woke up to almost 2 feet of snow. The roads were a mess, but by 11am, they had been plowed and chain restrictions were lifted for most of the day. It started snowing again around 4 and chain requirements went back up. Roads were clear and just wet for most of the day, but got slushy/slippery again (not too bad) as it started snowing again. Today, we have a few inches of fresh snow on the roads and it is still snowing lightly. The side streets haven't been plowed, but I'm sure the highway has. There is another couple inches predicted by early afternoon, so I'm not sure how the chain restrictions will go or how the roads will be. I would say this: If you are coming up, there will be people stationed beside the road to help with chains for a price (they have yellow or orange vests if they are 'official')- bring cash. Drive slowly (25mph is limit with chains) and deliberately- read through this article about slowing, using lower gears, etc. Once you get here, plan to not drive much if you are staying near activities you can walk to. If you have to drive, you won't have or need chains in town, but again, take it easy- brake gently, turn slowly, etc. It is so beautiful here right now with the snow! Let me know if you need more info or advice. If getting chains on is your issue, I think (almost sure) there are people stationed to help. Dear Doc:trying not to be nervous about driving up to South Shore today in a rental that is not 4wd. Rt. now it looks like chains are required right out of Placerville do you know of places that can help put them on? I can get a pair for toyota camry we are driving in but no experience putting them on. HELP! Saw a bunch of visitors trying to put on chains in the Kmart/grocery store parking lot. This snow was a surprise (the amount at least) and people who came into town on dry roads were caught and can't leave without chains. Unless it's mid-summer, carry chains in your car to drive in or through the mountains if you don't have 4 wheel-drive. Hi Ann... The easiest, best-plowed and probably safest way is to take Highway 50. Head out on Lake Tahoe Blvd past the casinos. Follow the 50 as it goes up over Spooner Summit and back down into the Carson Valley. When the 50 ends in Carson City, (@ a traffic light), turn left onto 395 and follow the signs to Reno. If you stay right, you will be able to turn to get on the bypass (395/50) which makes your drive faster than if you stay straight and go through downtown Carson City, but you will ge there either way. When you get through Washoe, look for signs again for Reno. Stay right to merge onto 395 ramp to Reno. Take the Plumb Lane Exit and follow signs to the airport (right hand exit, turn right and right again). There are other routes (Luther Pass which I use from my end of town, sometimes and the Kingsbury Grade), but they are steeper, narrower and less well-maintained. Let me know if you need more info. Enjoy your visit- make sure you have 4wd or chains! ...And the snow is coming this weekend (finally, mid-January 2012). We'll believe it when we see it. Some forecasts are for a big storm and some are saying not a lot of precip. There will be chain controls at some point though. There is no snow now. We are supposed to get snow tomorrow--maybe 1-3 inches. We are at a higher altitude than Reno so we get snow when Reno does not. I am in South Lake Tahoe, but Reno is closer to Truckee and the northern ski resorts (like North Star), that's why I mentioned Truckee if it snows (although they don't have any now either). Usually South Lake Tahoe and Truckee will get snow at the same time because both are at higher elevation, although South Lake Tahoe is little higher in the mountains. You can drive here without 4 wheel drive when there is no snow. I recommend at least a front-wheel drive car (not rear-wheel drive). You will need chains for front-wheel drive, also. You should definitely have chains in your car because weather here is unpredictable. If you wait to buy them here after it snows, the shops sell out of them OR they are very expensive. Also, snowstorms can happen even when they aren't forecast (although we usually have warning). Sometimes, there is ice over the mountains on the drive in, even when there is no snow so be careful. Carry chains in the car OR drive a 4 wheel drive. There are areas along the road near the "chain control" check points where people will put your chains on for you for $30 (at least that is what they charged last year). There are people on the other side of chain control also to take them off for you. Whether you spend more time in Reno or South Lake Tahoe or wherever depends on what you want to do. I think it is worth spending some time near the lake as it is very beautiful. South Lake Tahoe is on the lake. Reno and Truckee are not. Good luck! and you are welcome. I check this almost every day, so will try to continue to help. Hi, Yes I am from Bay area. Let me clarify one thing, for example, if snow now in South Lake Tahoe, did that mean highway 80 to truckee snow too. So Now South lake tahoe, have no snow on the ground too. Before my plan is stay South Lake Tahoe one day, maybe I need change plan to stay another day in reno, and drive back to truckee you. mean the NorthStar ski? One more, do i need 4 wheel drive to go Truckee if there is no snow coming this month or go south Lake tahoe if no snow over there too. What do u think? thanks for helping me. Edward, Are you coming from the Bay area? If you are going to Reno, the 80 is more direct. Reno does not have any snow, so you may want to plan to visit Truckee or somewhere else in the mountains if it snows (we don't have a lot in the forecast right now, even up here). If you take highway 50, it will bring you to South Lake Tahoe. From here, it is up to an hour and a half to get to downtown Reno. I hope your children get to see snow! HI, THANKS FOR YOUR ADVICE. I want to ask , does highway 50 and high 80 which road is better to drive on. My kids just want to play snow for the first time. On dec 25 , i will go Reno to stay. do u know which location close reno for kid to play. thanks again. Rent a 4 wheel drive vehicle (or all-wheel drive). Most of the time you need chains/cables OR 4 wheel drive (or all-wheel drive). The roads close before they require 4 wheel drive vehicles to put chains on. You should have chains in your car though, as chain control sometimes (rarely) asks to see them. If you can't put chains on, you may have to wait out a storm. There are really no other options as the highway patrol checks every car into South Lake Tahoe when chains or 4 wheel drive are required. They will not let you through if you don't have what you need. If there is no new snow, there will be no chain control. However, if it snows while you are here close to your departure date, you will still need them to get out of South Lake. Again, this means either a 4-wheel drive,all-wheel drive or chains/cables. If you have never been here before and are not experienced driving in the snow, you will need to wait for the storm to pass before driving over the mountain. Check the CHP and NHP websites for information on road closures. Right now, we have no snow and only one day forecast for snow in the next 10 days. That can and probably will change by Dec 24th. Check back here closer to your date, and I'll try to check conditions for you as well as chain requirements. South Lake Tahoe is beautiful! I hope you enjoy your visit. I don't know- people do it, but I imagine it can be rough. I've only used my 4wd in 4wd mode a few times, but it was absolutely necessary those times. If you have chains and are willing to deal with them, then maybe IF you don't have to get anywhere quickly (max speed on them is like 25 mph). The other thing to consider is that not all streets get plowed until like, day 3 of a storm. If you have to drive before that, you need a vehicle with enough clearance to get through the snow without it plowing over the top of the car. I don't know any one who has a 2wd, but will ask around. It wouldn't be easy (you WILL have to put chains on at chain control stations if you don't have 4wd), but maybe could be done. I am moving to Tahoma (West Lake Tahoe) this winter. I am looking to buy a car. I am trying to find something AWD, but is 2WD doable for a whole winter season in Tahoe? 11-17-11 Very windy now- power outages are possible. Storm coming in tonight and tomorrow. Chain controls are likely part of the day tomorrow over the summits. Check CHP and NHP sites before heading up. Be careful out there, but shouldn't be too bad on the roads. October 5, 2011 - Calling for another La Nina winter! There was over a foot of snow at Sierra-at-Tahoe this morning and then it snowed all day too. A sign of things to come? Hi mat85. You can definitely do this. Many people drive from the Bay area to Tahoe every weekend in the winter. The drive can take between 3 1/2 and 5 hours depending on traffic and road conditions. Often, if you drive to Tahoe on Friday afternoon and drive Sunday afternoon back, traffic will be one long line all the way to Sac, so if you can travel on 'off' days, it will help. Taking it slow and easy will make it doable, even if you haven't driven here before. The road is usually kept pretty clear all the way to the resorts (not out here where lots of locals live though, so if you are renting a house, be sure to ask about road and driveway conditions). You need to buy chains for your car- even if you don't have to have them put on, you may be stopped at a "chain control" station and asked to show that you are carrying them. Also, please read the driving tips above. 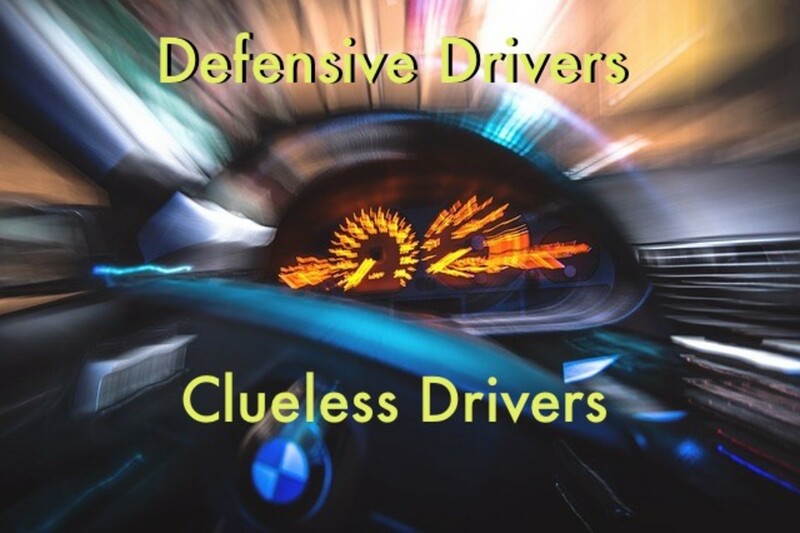 **Going slow without braking hard is going to be the most important safety maneuver you can make. ** Slow BEFORE making a turn. Do NOT panic and brake hard if you see a patch of snow or ice- if posible, brake gently before you get there, otherwise 'ride it out' by holding the wheel steady and resist the urge to brake on top of it. Carry at least basic safety or emergency equipment with you so that you can get yourself out if you get in deep snow. Keep gloves and coats within reach. Importantly, watch the weather forecast and be prepared to alter your plans a little based on storms coming in to the area. Our snow storms tend to last just a day or two, then the roads are quickly cleared and driving becomes much easier. Driving during a storm is strongly discouraged. hello i am planning to drive from san francisco to south lake tahoe during february next year. i was wondering how long the drive will be roughly and is it doable by non local? Very good Hub.I will discuss this points with my professional drivers.They need to know this points as they are working with Airport Car Service.UK .Thanks For such a important discussion. Some really good advice here on driving in bad mountain weather. I grew up driving in snow and even drove a ski bus for several years, so am not unfamiliar with the problems and you have covered most of them. The only thing I might mention is downshifting a front wheel drive car on packed snow or ice. Too rapid a downshift or too many gears at once can lock the front wheels on very slick roads or at least cause them to turn far slower than they should and cause a slide.